Notes: The Plaque was unveiled by Lt. General Sir Robert Sturges, KBE, CB, DSO. Former GOC Commando Group. There is a 'Book of Remembrance' placed under the Plaque. Inscription: In memory of the Officers and Men who gave their lives for their country whilst serving in 48 Commando RM March 1944 - January 1946. 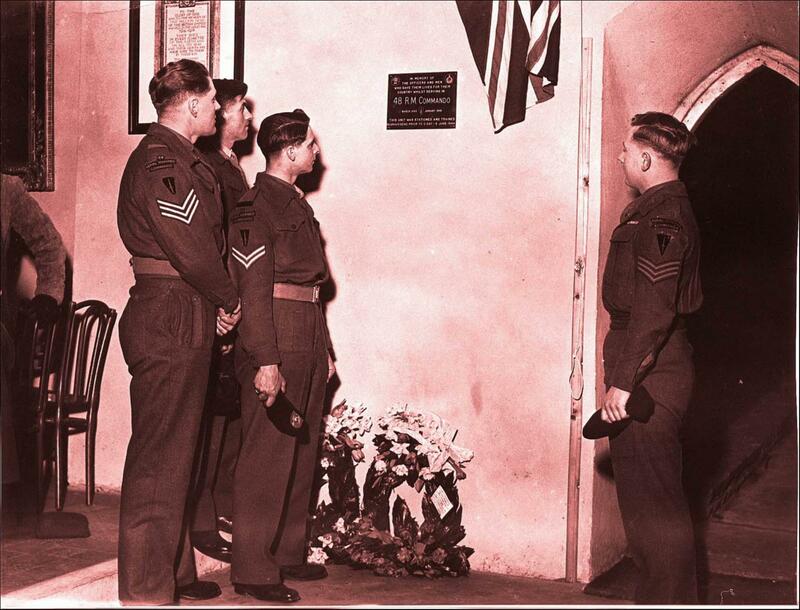 This unit was stationed and trained in Gravesend prior to D-Day 6 June, 1944.